Eid al-Fitr is incomplete without Sheer Khurma – a delicious milk, dates and vermicelli pudding. A common name for this Eid is also “meethi eid” or sweet Eid and that is mainly because of this simple, and delicious pudding that is served throughout the day on the day! It’s almost time for Eid al-Fitr! Time for celebrations, family get-togethers, love, and blessings. After 30 days of abstinence and fast during the month of Ramadan, Eid is a time for delicious sweets and savories. On our first Eid al-Fitr after marriage, we were in Scotland, and I had no clue of how to make the traditional Sheer Khurma (and not Sevaiyon ki kheer as Sikander keeps insisting!) and that is when a friend gave me this recipe. This Sheer Khurma recipe came from a Pakistani Chef. It’s a little different from the way it is made in India and after eating sweet vermicelli since his childhood, Sikander passed this one as the best. This is the traditional recipe for sheer khurma, but recently I also made sugar-free sheer khurma with soy and almond milk as many of our friends are vegan. If you like this recipe, please take a moment to rate it and/or leave your comments at the end of the blog. It will really encourage me to keep exploring, learning and improving. For everyone in my family, making Sheer Khurma is very easy and natural but I still need to refer to this recipe every year. On the day, Sheer Khurma is prepared in large quantity and then served throughout the day to all the guests who come to greet and celebrate Eid with the family. Later in the day the entire family comes together at the dining table for a lot more Eid special dishes! Somehow everyone’s favourite dish finds its way to the dinner menu. 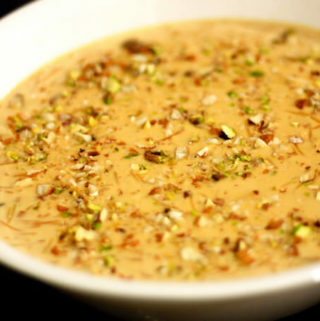 Sheer Khurma is an Eid special sweet made with roasted vermicelli, milk, and dates. Sheer means milk pudding and khurma mean dates. You can also skip the sugar in the recipe and use only dates as the sweetener! Soak dates in warm water overnight (or at least for 3-4 hours until they become soft to cut). Remove seeds and cut the dates into small pieces. Boil the dates in 1 cup of milk, till the milk is reduced completely. The dates will absorb all the milk and become very soft. Boil the remaining milk in a thick bottomed pan. Remove two tbsp milk in a small bowl and add the saffron to it. Reduce the heat and keep the milk on low flame for about 40 mins until it is thick enough. Keep stirring the milk in between to prevent it from sticking to the bottom of the pan. Garnish with remaining dry fruits and dates. 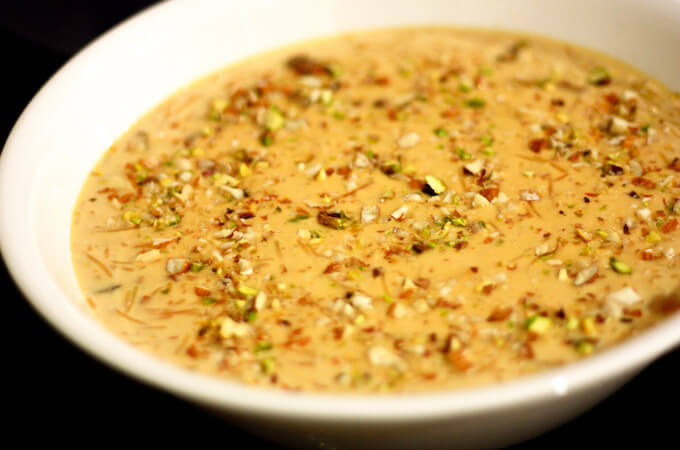 Sheer Khurma can also be made with soya milk and with just dates as the sweetener. Click here for no-milk sugar-free sheer khurma recipe. So sweet, tasty,delicious ,Thanks for the marvelous dish ! Ah, I didn’t know this dish. Sounds and looks delicious! Nice article Ashima…keep it up. Ashima.are you a professiomal blogger? Ramadan Mubarak! 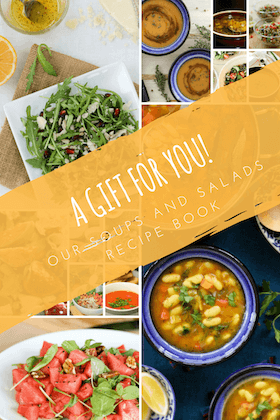 It’s time to start planning to Eid feasts! with condensed milk you might not need sugar at all! Just check before adding sugar according to your preference! Thanks for a mouth watering dish, looks tempting. Eid Mubarak! Made this sheer for our family’s Eid and it’s delicious! Thx! Thank you so much, Nadia, for sharing your feedback! It gives me so much pleasure 🙂 Would you have any picture to share? I would love to see your Eid delicacies!